At first it may seem like corporate-owned mobile devices appear to be easier to manage than employee-owned devices, as the boundaries are clearer, but IT still has a lot to keep track of. 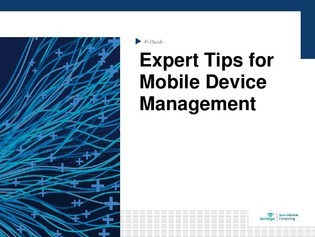 Has your organization considered a mobile device management strategy for 2019? See our experts’ top tips in this guide.